Most of you probably have fond memories growing up watching cable television. You no longer had to rent VHS on Blockbuster because you can watch all the coolest films on TV in the comfort of your own homes. You can even record your favorite shows or movies, so you can watch it over and over again whenever you like. And for several decades now, the cable industry had us in a firm grip. Our over fascination with sensational news, the entertainment industry, and reality TV got us seriously hooked to cable TV. With the advent of the Internet, other legal online streaming options became increasingly accessible to us. You no longer have to pay for expensive cable TV when you can simply stream online for free. On the other hand, you also have the option of subscribing to both Netflix and Hulu Plus for only $18 a month and get to watch the same shows shown on cable at more than half the price. As if piracy isn’t enough of a threat, cable TV is struggling to basically exist in this day and age. The cable TV business is in trouble—in fact, it is “failing” as a business due to rising programming costs and consumers switching from traditional TV subscriptions to online video streaming, according to a cable lobbyist group. Polka made his comments in an episode of C-SPAN Communicators that is airing this week, though it was recorded in April. Video is available here. The ACA represents about 750 small and mid-sized cable operators who serve about seven million customers throughout the US. The ACA has also been one of the primary groups fighting broadband regulations, such as net neutrality and online privacy rules, and a now-dead set-top box proposal that would have helped cable TV subscribers watch the channels they subscribe to without a rented set-top box. Now that consumers are becoming more aware that they have a choice, paying for an average of $50/month on lousy cable TV subscription seems too much when they can simply stream online and not pay anything more on top of their Internet subscription. Over the past few decades, cable subscription has risen dramatically even faster than inflation itself. Fortunately, you no longer have to settle for what shows are currently aired on TV but can choose whatever film or TV show you want to watch anytime of the day. SOMEDAY, WE’LL SEE cable boxes as relics, reminders of a bygone age when funneling movies and shows from one place to another was so much more complicated—and expensive—than it had to be. But while the cable box is dying, it’s not dead yet. Until it is, there’s no reason not to try to make it better. This week, Comcast gave us a taste of the cable-box-free future. It announced that its Xfinity app, which lets its customers access cable TV, on-demand programs, and a cloud-based DVR, will be available on Roku devices and Samsung smart TVs, as well as on the hardware of other partners to be named later. No more box, no more separate input; just your Comcast line-up alongside Netflix, Amazon Prime, and your other streaming media suppliers of choice. Sounds nice! And likely will be, for those tech-savvy enough to embrace it. 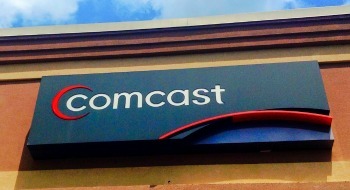 For Comcast, though, it represents more than just a nod at tomorrow’s streaming utopia. It’s an example of why the FCC should slink away from its plans to fix today’s broken cable box system. They’re wrong. If the cable industry doesn’t innovate and learn to adapt to the times, they’d likely disappear from the face of the planet without any struggle at all. You can only milk this type of industry for quite some time. But now that technologies like online video streaming are becoming more mainstream and affordable, many consumers don’t see the point of paying for pricey cable TV services when they can see the content they want when they surf the web. Best of all, you can do away with annoying and time-consuming advertisements you aren’t always interested in watching. Let’s all wait and see how cable companies evolve if they ever will. Because one thing is for sure if they don’t, they get archived and forgotten just like the empty Blockbuster stores of a long-lost era in the past.